This song is possibly the most widely-recognized song in the English language, "Happy Birthday to You" didn't start out as a song of birthday good wishes. The tune of this beloved ditty was penned in 1893 by school teacher sisters Mildred Hill and Patty Hill. The two teachers wanted a sing-song greeting with which to welcome their young charges to school each day. 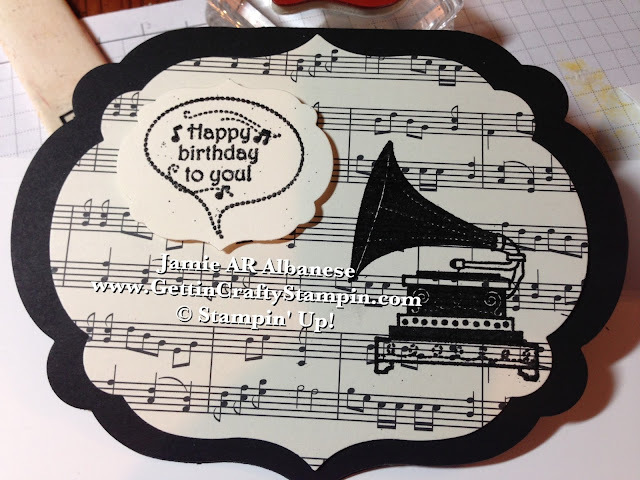 To celebrate my daughter's 23rd Birthday, I couldn't resist creating this Music Major a sing-song birthday card. With our Modern Medley Designer Series Paper (#126926), our new Timeless Talk stamp set (#126607), Big Shot (#113439) and Labels Collection Framelits (#125598).... this card comes to life! 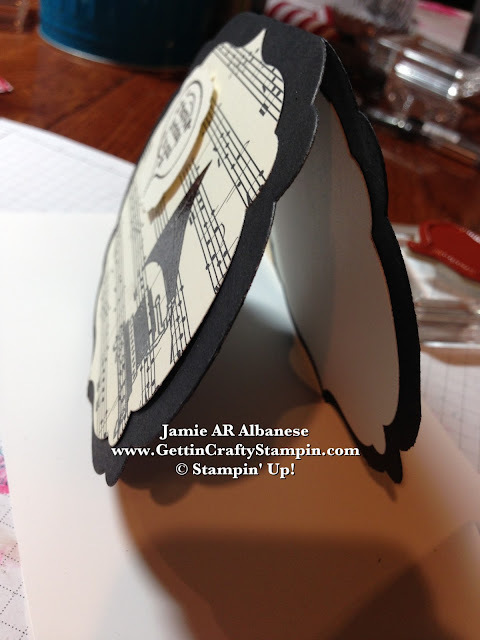 Folding my Black card stock (#121045) layering it out with our Framelits I can leave the seam uncut for a shaped card that holds it's shape! Layering the Modern Medley paper in perfect layers... the perfecting layered collection makes it easy to look fabulous!! Even the Word bubble mimics the look of this smaller label!! 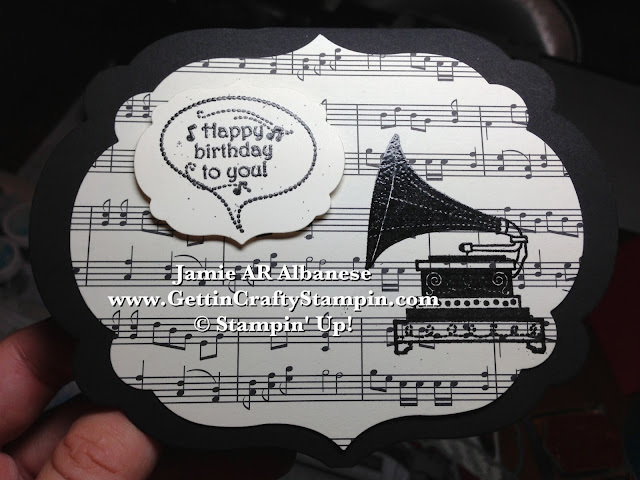 Heat Embossing is a cool technique. Our Heat Tool (#129053) makes it easy to lay a sharp image. Prepare the paper with our Embossing Buddy (#103083) and it is ideal for our Versa Mark (#102283) to stamp this image cleanly. Black embossing powder (#109133). aww - it kind of is.... magically awesome!! Very Vanilla (#101650) provides a color-coordinated blank surface on the inside of the card. 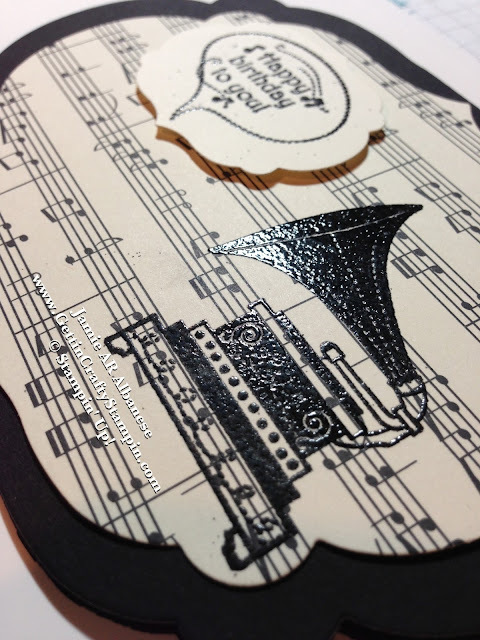 Pull together a cool crafting card with our amazing products and tools!! 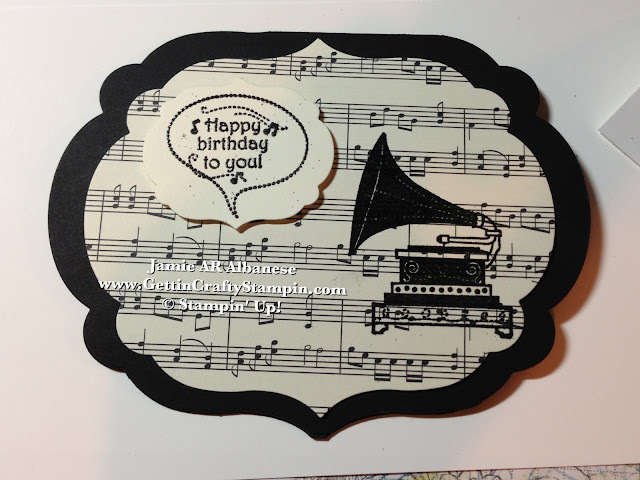 CLICK HERE to see ALL of our stamps, papers, tools, stamp pads and more!! Our older-baby-girl had a good birthday... wow, 23?!?!! Life flies by... take a moment to capture moments, make them personalized, and memorable!! Now, as Joana works a couple jobs... her new one at the museum... we couldn't be more proud!! What do YOU Think of this card (and it's many layers)?? Leave me a comment and let me know! Please... Pin this, Share this, Email, Facebook, Tweet, Instagram and Vine it! Visit me on all of these channels... YouTube and more, too!! !